When we first opened our doors, nobody was talking about carbon. We’re thrilled to see how quickly that’s changed, because we think the built environment can tackle climate change. So we find smart ways for buildings, masterplans, portfolios and infrastructure to play their part. And, while they’re at it, help save on operating costs and reduce financial risk. We’re experts in carbon strategy. Atelier Ten have experience with a wide range of building types, programmes and user groups. 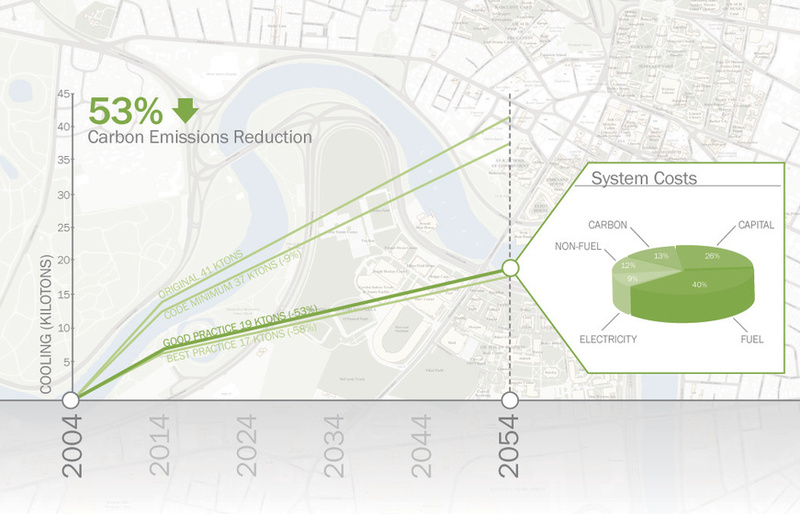 This means we can quickly identify cost-effective carbon reduction strategies. Then we can help our clients apply them across their global operations. With our support, clients can confidently put programmes in place that help lower demand, boost efficiency and introduce zero carbon and renewable energy plans. All while working towards their long-term climate change aims.